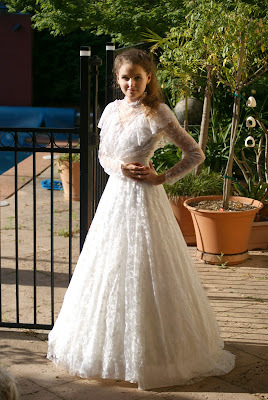 So this past weekend, I tried on my Mum's Wedding Dress. I guess, as a Bride to Be, it's a bit of a right of passage! As it turns out, my Mum was almost the same size as me when she got married. By almost, I mean within a few inches! But with the belt cinched in, it fit almost perfectly except for the underskirt. Now, I've already chosen my wedding dress. I fell in love with a picture of it, tried it on in Louisiana and my heart was set! This Friday, I'm visiting a Bridal store in Sydney to check on sizes to make sure that I'm getting exactly what I need. I'm taking along my Mum (who also saw the dress in Louisiana) and my Sister and close family friend who are so excited to be there. As I'm only getting married once, I'm going to try on a few different dresses - because, after all, I'll never do it again! Playing dress up means you can be silly. Trying on my Mum's dress was fun and definitely something every Bride should do if there Mum has their's around! My Mum and Dad on their Wedding Day - and me, being a dork x10 on the weekend. 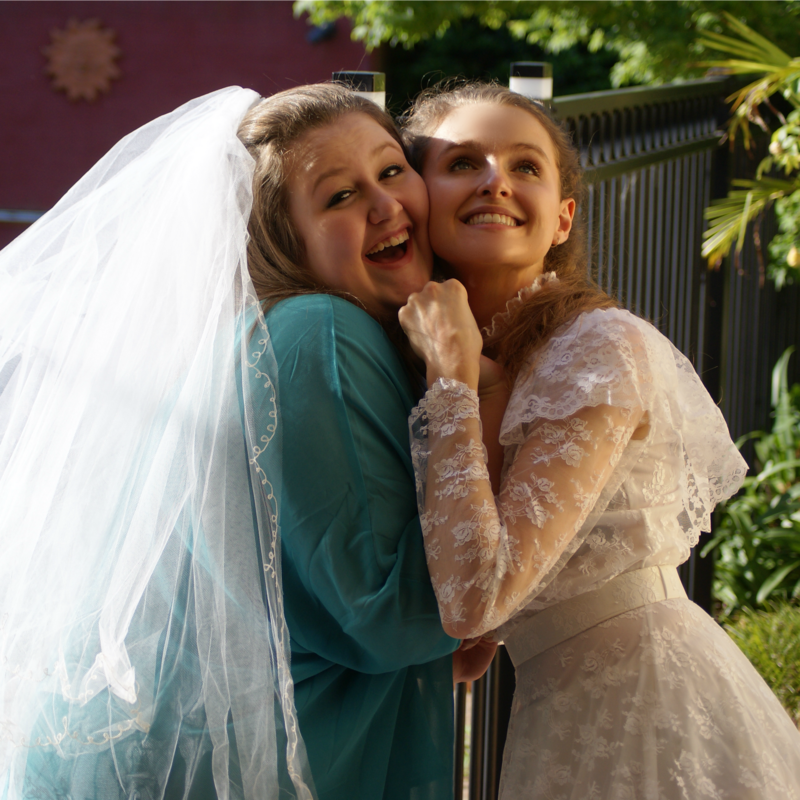 So tell me, Does your Mum still have her wedding gown? Have you tried it on? Aww.... you look so pretty and elegant in your mum's dress :) I'd never be able to fit into my mum's, I'd be way too big (she didn't pass on her skinny genes to me)!! My sister is the same - we are polar opposites. I have mum's genes and she has my dad's side of the family's. I like the dress better without the underskirt but at the time it was very modern and your mum looked beautiful. As for the skinny and fat genes not so sure your dad is fully to blame. I don't think they are skinny or fat genes - it's how your genes effect the way your body is built. I have a very small waist and hips, whilst others have larger hips - that doesn't make them "fat". Awh, Thank you! I was thinking about using some of my mum's veil, but as it's so long and just one big piece I don't want to ruin it! I'd have to dye it as my dress is ivory, but perhaps I will find some way!